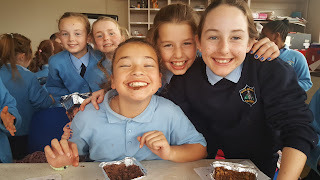 "Anything chocolate"! 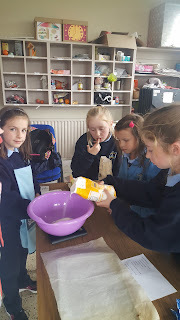 That was the answer myself and Ms Walsh got when we asked the girls at Cookery Club what their favourite thing to make was. 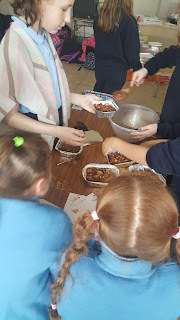 So it was no surprise that everyone was delighted to be making Rocky Road at our last Cookery Club for this term. 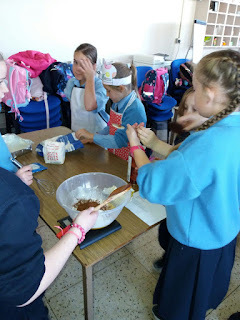 Sometimes the smell from the kitchen is so inviting we get visitors in to see what delicious treats we are making! The "evidence" (i.e. 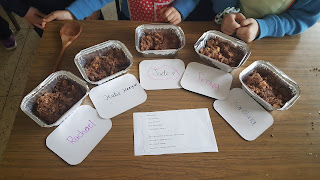 chocolate faces) is clear, Rocky Road was a success! 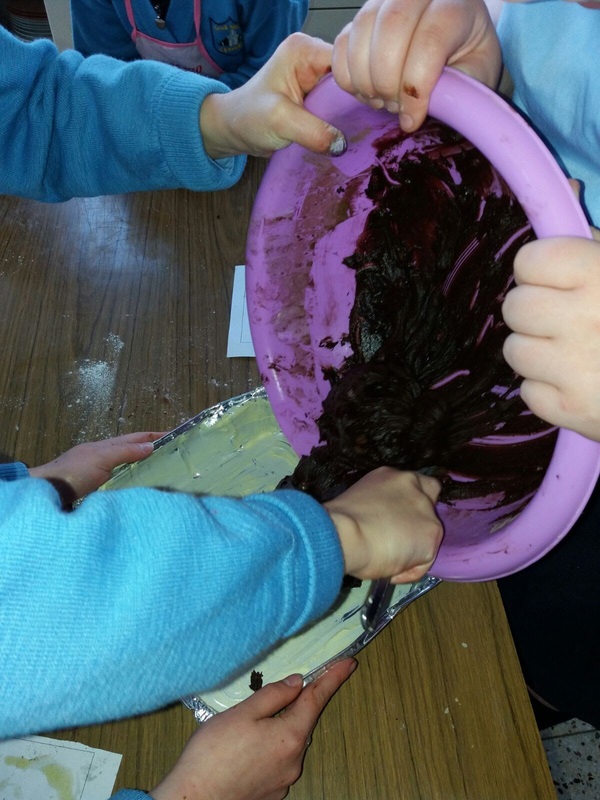 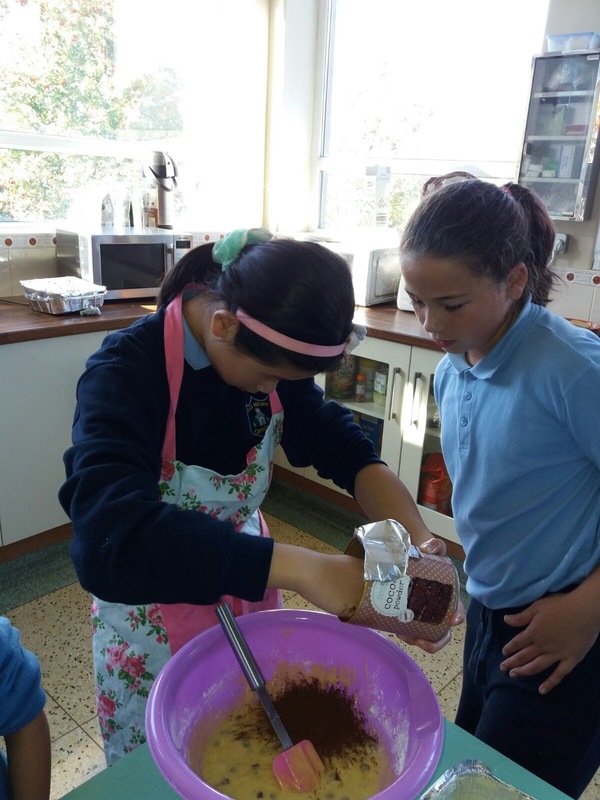 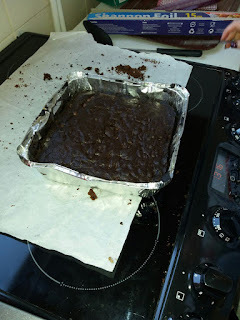 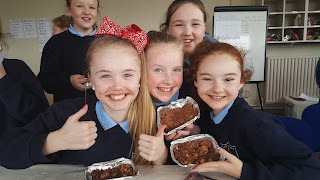 We're learning lots of baking techniques in Cookery Club, This week we baked awesome chocolate brownies. 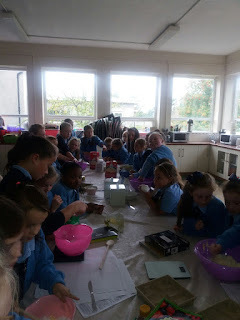 We work in small groups and each group gets to take home what they make, it's a very hands on class! Everyone loved measuring and mixing the brownies, tasting the chocolate mix before it even went in the oven! Ready at last! 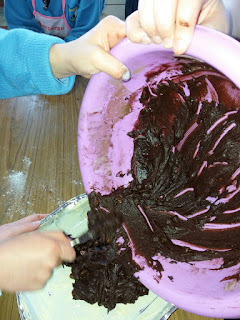 Good enough to eat yum yum. Hello and welcome to cookery club at Scoil Mhuire. 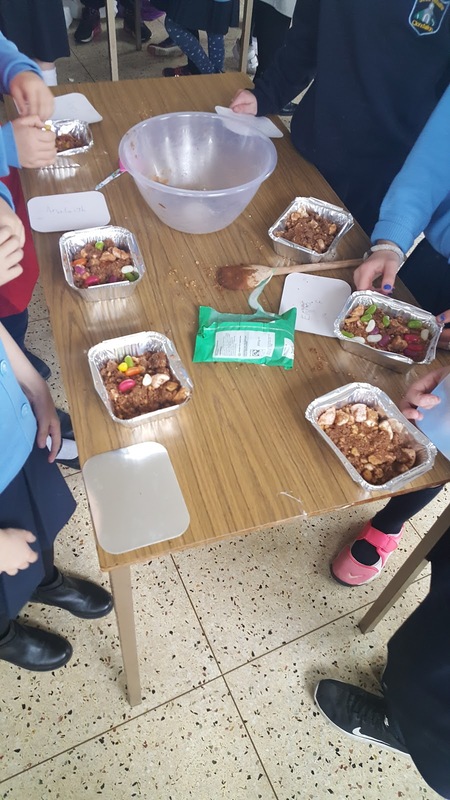 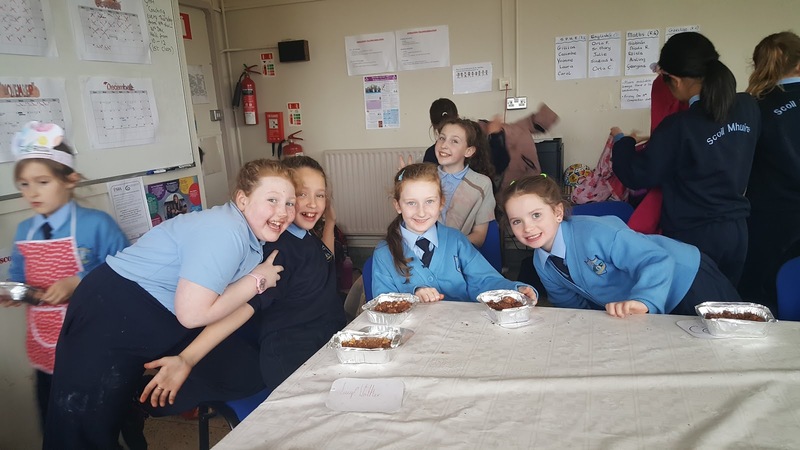 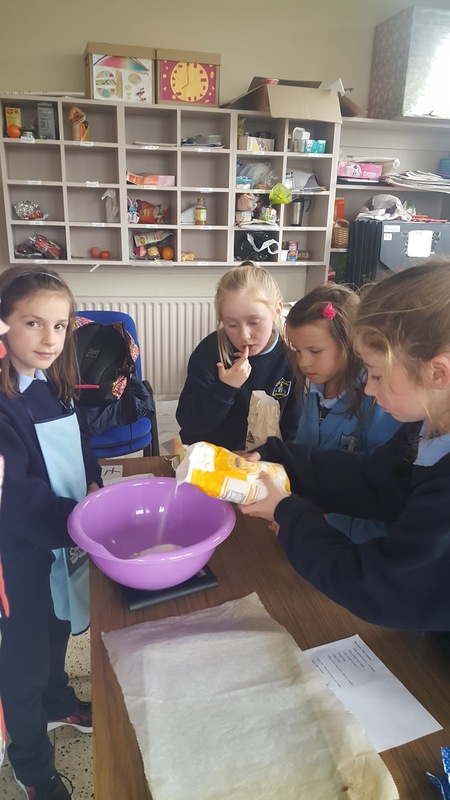 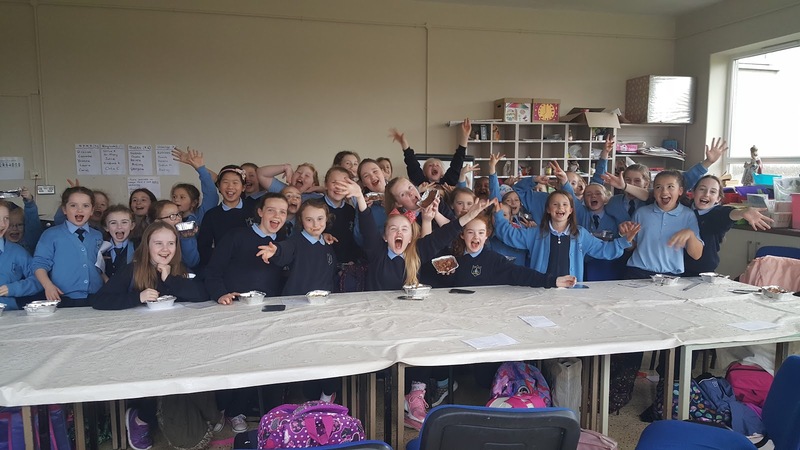 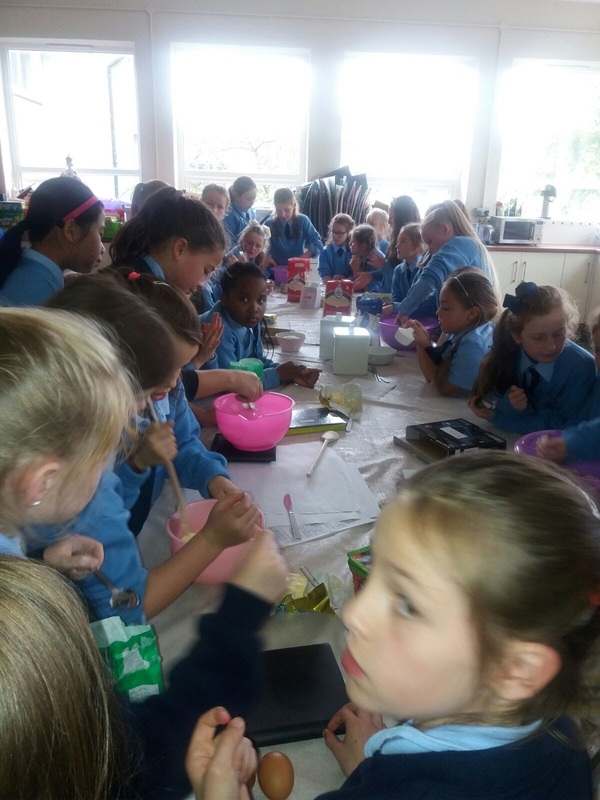 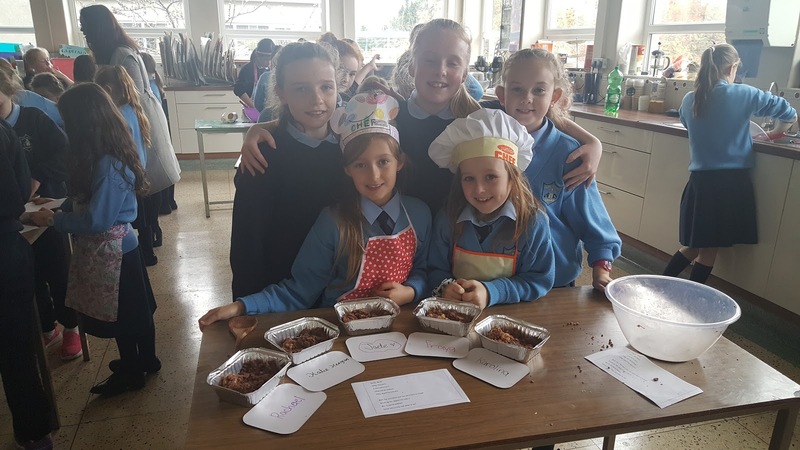 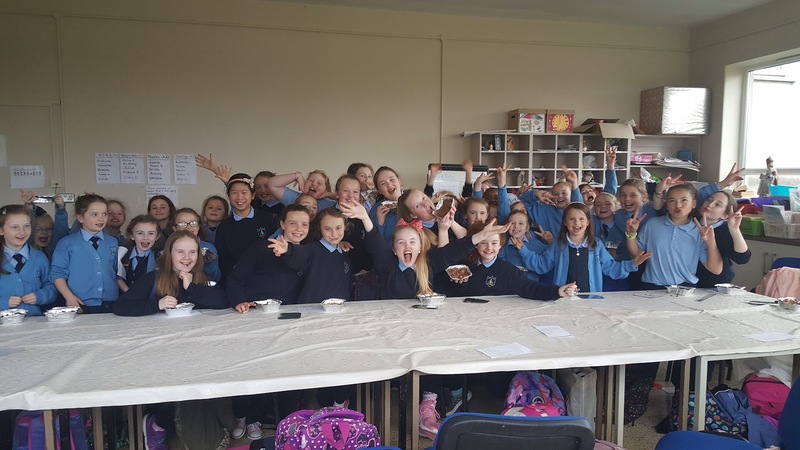 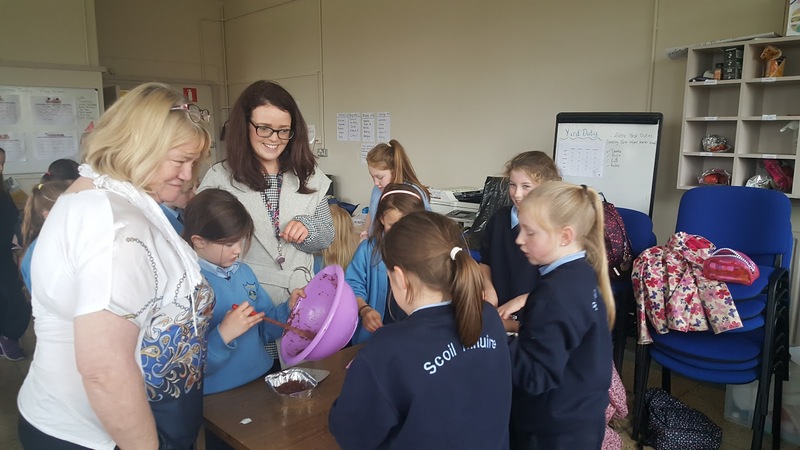 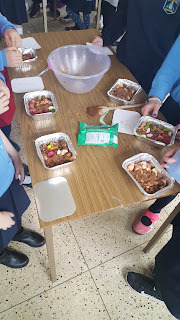 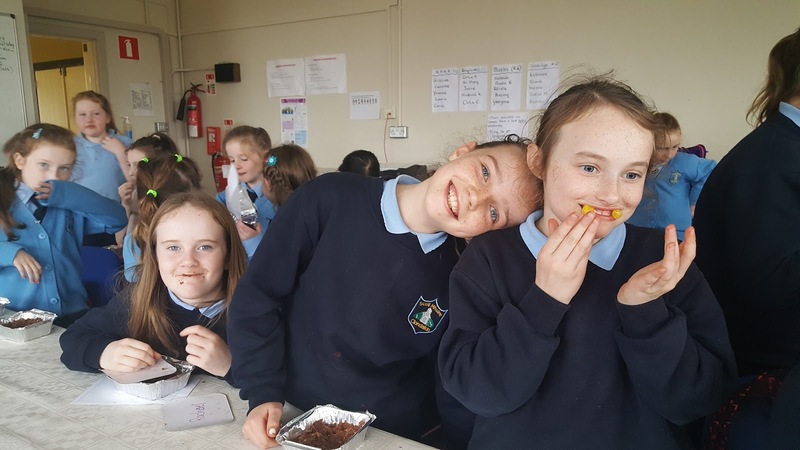 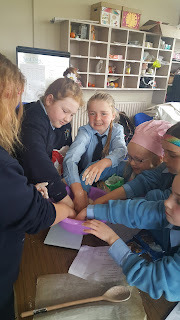 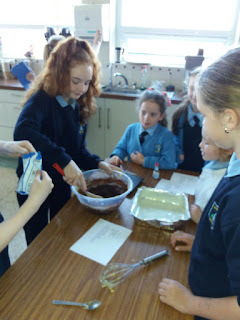 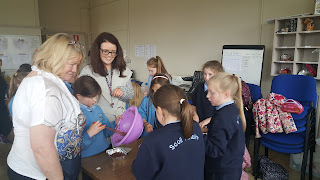 This is a fun after school club from 2nd to 6th class, we meet every Wednesday from 2.30pm to learn basic cooking skills, cake making techniques and to have fun! 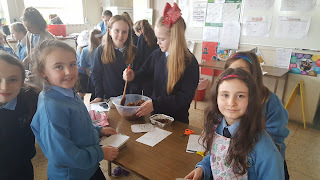 There are forty pupils in Cookery Club so you can imagine how busy the kitchen in Scoil Mhuire gets! We especially love baking but more than that we love eating the tasty things we make!